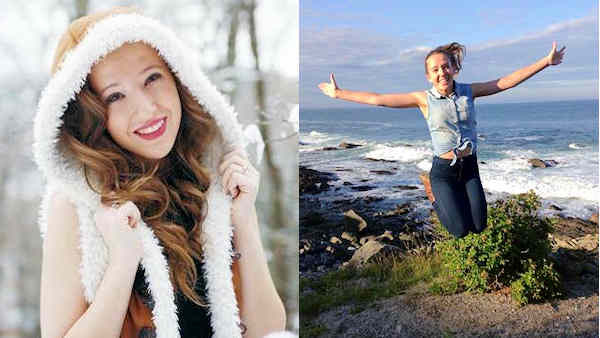 DANBURY, Conn. -- A Connecticut teen's bucket list has gone viral following her tragic death earlier this month. Seventeen-year-old Rebecca Townsend, of Brookfield, was hit and killed by a car in an accident that left her friend, Ben, seriously injured. The two had been crossing Lake Avenue from a Stop and Shop parking lot, heading towards a pizza restaurant, when they were struck by a 23-year-old driver. Rebecca's bucket list included three items: kiss in the rain, fly to Spain, and to save a life. As her family knew it, she'd done all but the third. However, when Ben was released from the hospital, he told them Rebecca had pushed him to move faster while crossing the street, saving his life. So I haven't had a boyfriend yet, sadly. I really hope by senior year I'll have a cute one (I'm not being shallow, he should be cute...as a plus). I think I want to go to college in a city, maybe I'll go to Fordham or Boston College. Yeah, I don't know what I want to do before I die. So my friends right now are Sammy, Jess, Emily, Drew, Lauren, Emma, Andrea and Katie. My best friends not at this school are Molly, Devrie and Anna. I love the play and the volleyball team. I really want to be in one of our school musicals. Or get a lead in the play. Well this was homework and I'm doing this the day of...oops. Maybe by the time I read this I'll stop procrastinating HAHAHA. Like that would happen.